Hey there! Thanks for dropping by cjasinski! Take a look around and grab the RSS feed to stay updated. See you around! There are times where both society and individual females fail to recognize the beauty of a woman. Modern media outlets have created an image of women that measures “beauty” through superficial means- bone structure, weight, height, hair color, clothing, perfect teeth, etc. The danger in measurements of this nature is that it lacks true significance. It leads to a pattern of women everywhere failing to recognize the queens within themselves. They are the monarchs of their own lives, destined to govern over their destiny through their true beauty, if they can unlock it. This may be through dancing, signing, political activity, or studying foreign cultures, but no matter what method of rule one takes, they must still recognize that they are beautiful. It isnt about looks, it is about being who you are. It is embracing your womanhood for what it is. If one were to see Hilary walking along the quad, they would see her southern style blue jeans, Vera Bradley book-bag, converse All-stars, and dirty blonde hair. What fails to be recognized by superficial glances are her amazing pipes and dynamic acting skills. This woman is a triple threat; sings, dances, and acts. 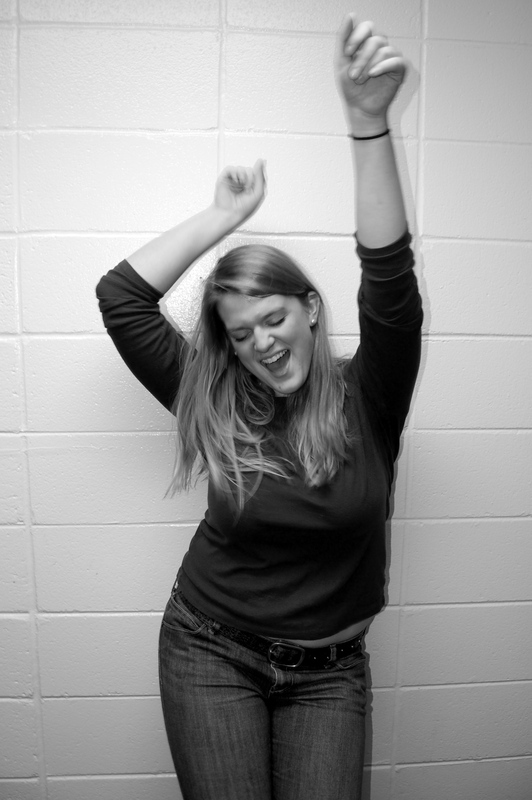 Hilary is majoring in Musical Theatre with only a slight clue as to what she wants to do post-graduation. Still, this wonderful woman is more then a balanced soul, she is a beautiful creation gifted to earth. Aubrey is a multifaceted spirit that seems to have more layers as one continues to peel through her personality. On Monday night you may catch her watching Gossip Girl, only to follow with a law and justice text book or collection of poetry. Shes not only able to argue for the balance of justice but can balance her body. As a newly discovered ballerina, Aubrey has developed a talent for molding the natural line of her body. As she molds words to fit a page for the perfect stanza, she creates a poetic beauty to her body. If an individual were to neglect learning more about Aubrey, they would only see her high heels or Urban Outfitters wardrobe, a crime within itself. The silhouette that is her soul is a perfection that permeates through her skin. Her smile lights up a room and ultimately her “kingdom”. 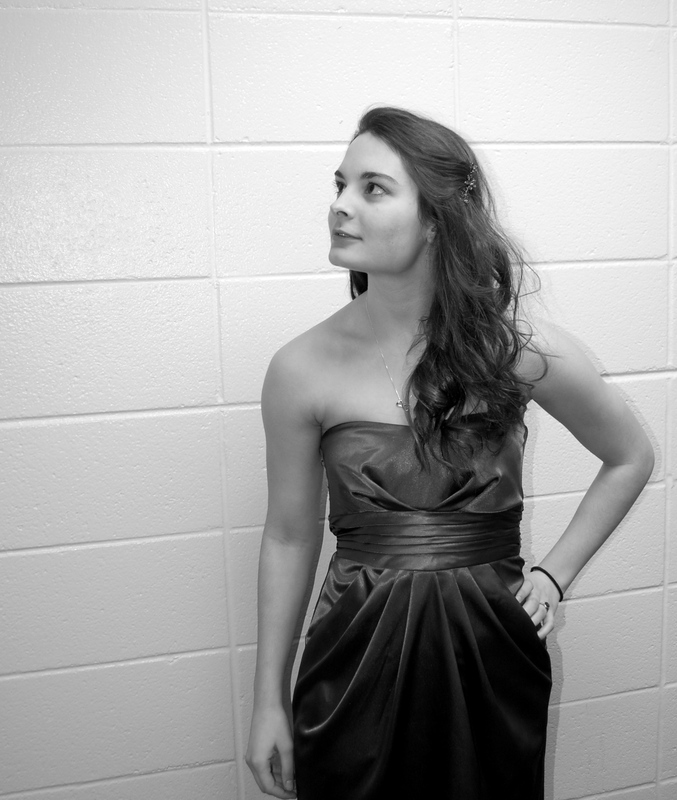 Dayna is a Freshman studying international relations. 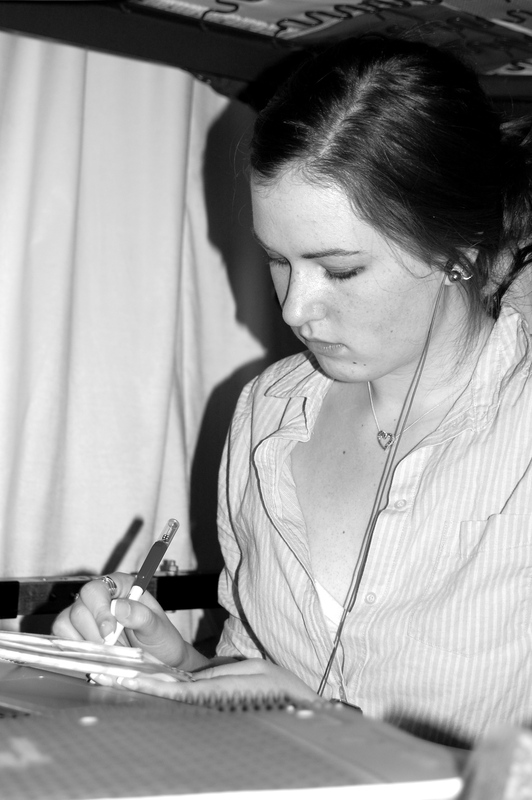 She has a deep love for indie music, the French language, English (England) culture, and Glee. When she isnt spending her time exercising, taking photos, or eating, she is busy studying. Dayna has a strong motivation for academic pursuits, whether it be continuing her knowledge of the French Language, reading an International Relations theory paper, or a classical piece of literature. Like a lot of American youth of the Digital Age, Dayna tends to multitask by listening to music while studying/doing homework, or reading while exercising. She is consistently busy completing a new task or formulating new goals. It isnt Dayna’s soft skin tone, flowing chocolate hair, or model-like figure that defines her beauty. It is her ever present motivation to remain an active student and further her intellectual horizons. Katrina was born in Wisconsin but soon moved to Chicago, Illinois. Before High School she volunteered for Barack Obama’s Senate Campaign, which he would go on to win. Later that year she moved to Georgia. It is at this point that the development of what most know as Katrina originated. Those that are friends with Katrina know that she speaks Russian, German, and Spanish. She has a deep rooted love for all things European but Germany in particular. Following her year in Georgia, Katrina returned to the services of Barack Obama and volunteered for his Presidential campaign. 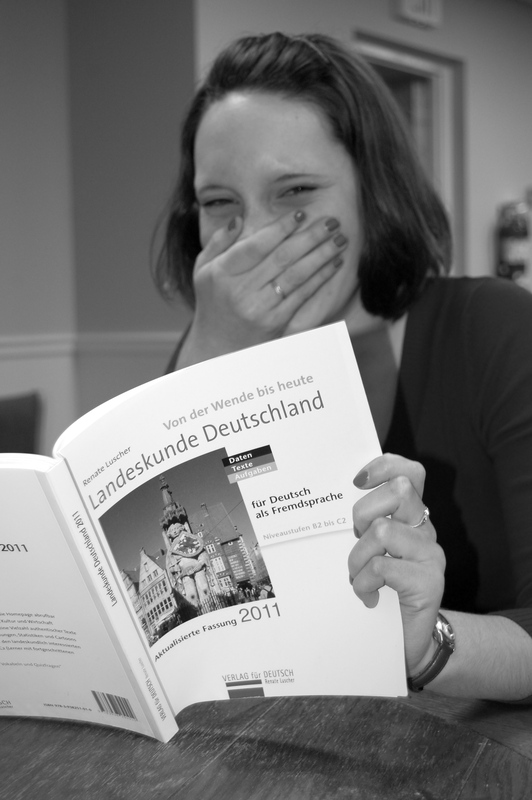 Only a few months before Obama’s victory Katrina moved to Germany. However, beyond the culturally immersed Katrina this photo captures another side of the woman, her softer side. Katrina has a smile that lights up any room she enters, and a laughter that mirrors that of children on Christmas morning. Her innocence shines through any dialect of any language she is currently speaking. If one were to separate Kate into two parts there would be the “soft” side and the more “rough” side. On the “soft” side is her elegant way of dress, flowing hair, twinkling eyes, and cheerleading uniform. On the “rough” side, there is a Kate with a fanatical love for Reagan, football (the Ravens in particular), and her practice of dead arms and noogies to her friends that disagree with her view of a sports team. It is not an uncommon occurrence to be forced to dodge Nerf bullets when passing by Kate’s room, a daily happenstance for the residence of Letts Six South. Regardless of sides, there is only one Kate. This individual has a depth capacity for love, and never ending energy for life. 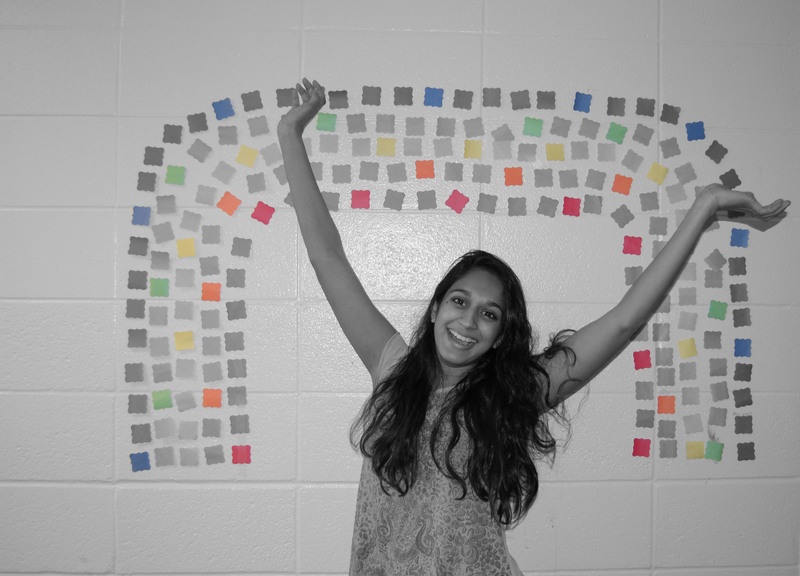 Aditi is an Indian-American that hails from Tennessee. She is studying International Relations but hopes to double major in Broadcast Journalism so that she can enter into the field of television production and news. She writes for the Eagle and works for ATV. She has a deep love for UGGs and her NorthFace jacket. 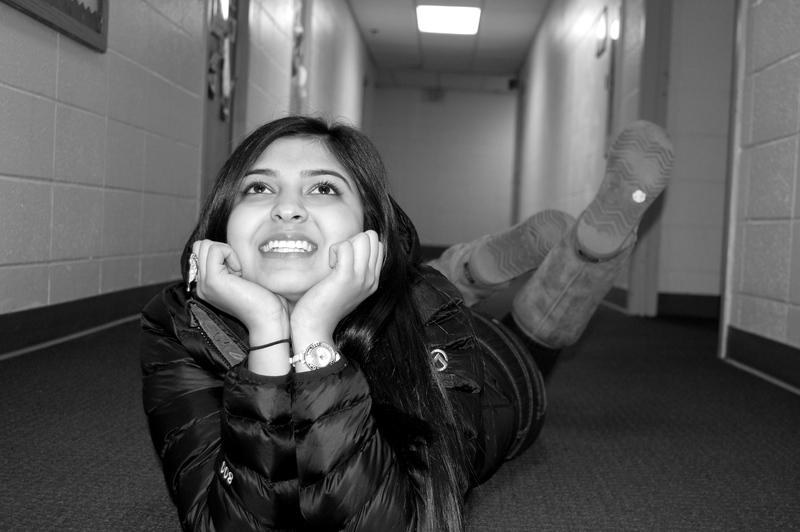 But beyond her clothing and career aspirations, Aditi holds dear to her heart her Indian Heritage. She shares traditions, experiences, and her own knowledge with friends to help immerse them in an undiscovered culture. This energizer bunny balances a sorority, school work, staying active in extracurriculars, and staying true to her heritage each and every day. Anna is an exhaustingly active political enthusiast. She leans so far to the left that any more over and shed fall off the “cliff” of political ideology. In particular, one issue that Ms.Sebastian is a tireless advocate for is gay rights.Whether it is the rainbow flag in her room, the gay friendly buttons on her book-bag, protesting, or vocalization of opinion, Anna is working for something that goes beyond herself. As a straight woman she is fighting for the rights of her fellow citizens, male and female. This consistent action and drive for change radiates from the aura of Anna. The positive essence that comes from within is almost blinding to those around her. Still, simple glances would not do this soul justice in her pursuits for change. Her beauty goes beyond what the eye is able to capture. The women photographed above are all extremely diverse, yet they have something vital in common- they are woman. As gifts to Earth these individuals present various talents and identities that add to the wealth of diversity on this globe. Maybe not these women but females in society tend to forget how beautiful they really are. This is a result of ads presenting women as products; perfect body figures, hair, nails, teeth, and smile. These ads present these superficial qualities as the measurement of beauty and perfection. In reality, these qualities are actually a measure of the poverty of beauty. Superficial beauty does not contribute anything to society, but personality, interests, and talents do. The diverse abilities of the women photographed above are only a small display of the wonders the feminine mystique holds. What must be remembered is that women are beautiful for what they are- inside and out. The photographs that capture a glimpse of these women does not even begin to describe the depth of their beauty. It would take a novel to contain every fact that makes each individual what she is. The fact still remains that these queens are sovereign of the land of their lives. They maintain their legitmacy through their womanhood. This photo has moderate depth. It is more then just a subject up close, yet its depth ends at the wall. There is an intricacy of lines within this photo from the face of the statue, the table holding the candles, the candles themselves, to the detailed engravings on the walls. These lines are in different direction but do not distract from the beauty of the picture but rather help to create unity. The monks are in motion, lighting each candle. These creates a mood of a somber nature, full of reflection and meditation. The one monk is off center which makes for a more dynamic picture. The face of the statue falls on a line of the rule of thirds, adding to the dynamism of the picture. The lighting is very natural. However, this lighting is not throughout the picture, its strength varies depending upon the distance from the candles. 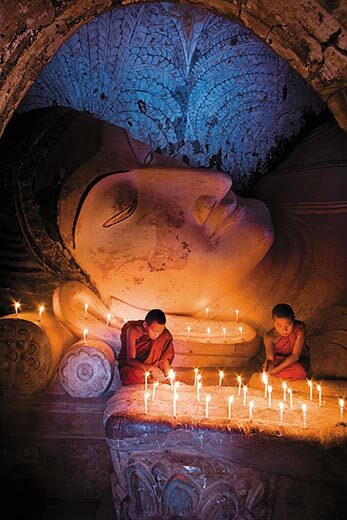 The monks are lighting the candles, and are also the focus of the photo thus the light emphasizes them. The subject contained within this photo appears to be “framed” by the lines of the magazines. This shallow depth of focus keeps the entire photo at an equal depth. The actual subject is almost lying on the intersection of lines. As for lighting, it appears to be coming from an angle, directly above. This light illuminates the entire photo but sheds ample light on the subject. The beauty of this photo is in its ability to display a development of the Digital Age. Technology, more importantly media technology is going digital. Mediums are becoming multi-platform and in some fashion converged. 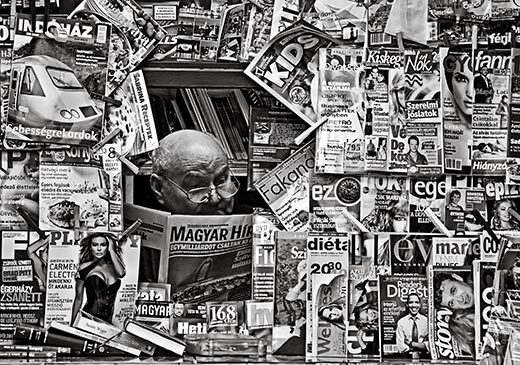 The business model of print media is changing, some survive and others do not. One manner of survival is for print to go digital and be “published” through apps on the iPad. This picture is has a relatively shallow depth in order to maintain focus on the animal and the plant. 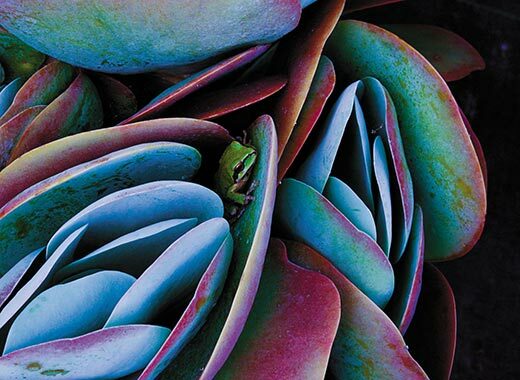 The lines within the photo, created by the plant, bring more attention to the frog. These objects are the focus of the picture because of their coloring and beauty in the “backyard” of the artist. There is no movement, but this emphasizes a “peace” within nature, or in the natural essence. The angle of the shot gives the picture a dynamic essence that a more straight-balanced shot would not allow for. The lighting of the photo is very natural, fitting with the principal of the photo as a display of nature. I think the principal behind this photograph is what makes it so beautiful- there is beauty next to us, if only we took the time to recognize it. We live in a lovely world, a “snapping” a photo takes a piece of the world into our hands and gives it the recognition that it deserves. The beauty is not always a plane ride away, but potentially a few steps. In some sense, the photographer is capturing her “unexpected”, illuminating individual ignorance of our surroundings. There is moderate depth of focus on this photo. 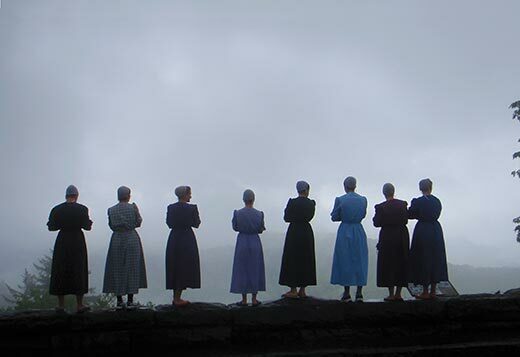 Although the main focus is the Mennonite women, you can still see some distance beyond them, something relevant to the location (an overlook). The women create a horizontal line that shows a tranquility in the picture. This is consistent with the time of day and lighting of the photo. It is naturally lit by the sun, which appears to either be setting or somewhat covered by the haze. The women as a group cross through compositional lines and two of them somewhat lie on lines.An interesting principal of this photo is the traditional feel to it, something that is consistent with the method of capturing the photo- a point and shoot versus a Digital SLR or other sophisticated and modern camera. This photo has a rather large depth of focus. 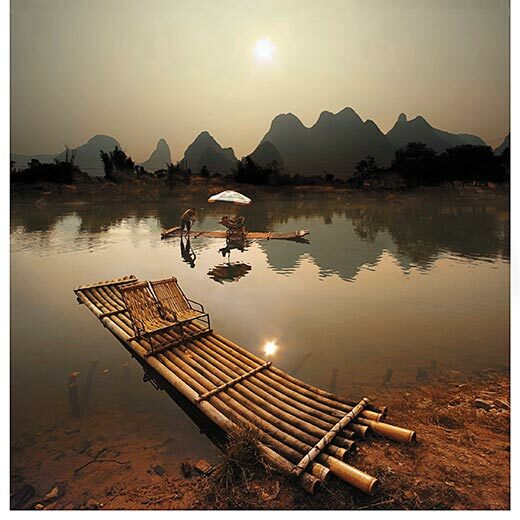 There is a dynamic essence to the depth because of the bamboo raft that flows into to picture. It is this line that the viewer follows into the rest of the picture. Another vital line to this image and its intended meaning is the horizontal one created by the raft passing through the picture. It is traveling across the water, as we are “travelers” on the Earth. The raft crosses through an intersection of compositional lines. As for the lighting, it is entirely natural from the sun. This illuminates the entire subject, poetically and physically the entire Earth. As a result of the location there is an ability for ample natural lighting, a tranquil feeling radiating from the scene, and a color composition that appears to be natural. There is a shallow depth of focus in this photo. 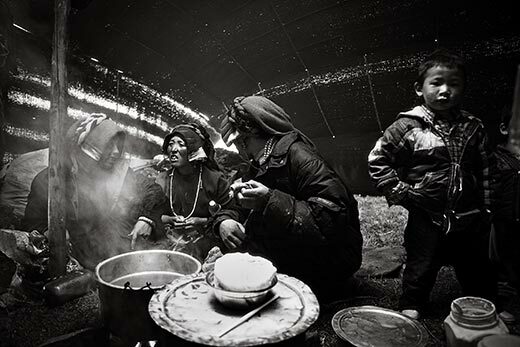 The depth of the photo itself is limited because of the covering that the nomads are existing under. Some of the nomads fall on a line of composition. There is a lack of lighting, however there is a small amount coming in from the cracks in the covering. There is shallow depth of focus in this photo. The viewers eye is limited to focus on the sheep and a very small amount of the background. The diagonal lines of the sheep’s legs present stability in the photo. 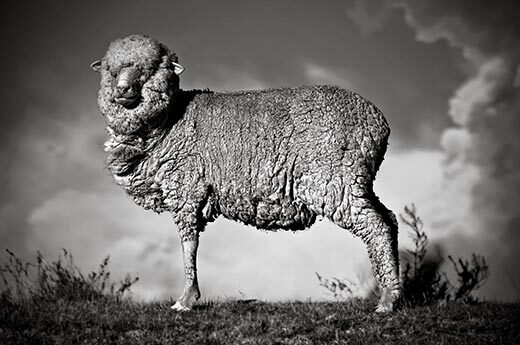 The sheep itself lies on two liens of composition, helping to make a more dynamic photo. The added clouds create a more tranquil and natural photo. The light emanating from the sunset is very natural and illuminates the subject and the photo in its entirety. Richard Avedon was born in 1923 in New York to Russian-Jewish immigrant parents. Avedon left high school to join the Merchant Marine Academy as a photographer, taking personnel identification photos and photographs of shipwrecks. When his time at the Merchant Marine Academy ended, he moved on to a job as a photographer for a department store. However, this job only lasted two years because Avdeon was discovered by an employee of Harper’s Bazaar and soon joined their ranks as a photographer. From this experience he went on to photograph for Vogue, Look, and various other publications. Avdeon’s first love of photographer is the portrait because of its ability to take a subject and capture the “truth” within a subject. As he became more famous for his style and ability, Avedon was able to photograph more celebrities and public figures. His pictures painted their public perception visually and allowed for a new essence to be capture, making them more relatable to the public, more human. Avedon’s artistic beauty is credited to his ability to make his subjects comfortable, thus creating an ability to capture the raw, intimate essence of his subjects. Richard Avedon’s style is usually minimalistic. His portraits are taken against a white backdrop with am ample amount of lighting on his subjects. A majority of his images/portraits capture some form of movement from his subjects, allowing for a more candid and spontaneous take. Still, his photos remain classic and formal even with the level of spontaneity contained. Avedon worked with Truman Capote to document the lives of American elites and public figures. This book was titled Observations and focused on capturing photos of individuals seen as the most famous and notable individuals at the time (1959) such as Gloria Vanderbilt. However, Avedon’s photography was not limited to entertainment figures. He dipped in the realm of political and social explication. Aroudn the time of Observations, Avedon began taking photos of patients in mental hospitals. He capture the raw existence of the patience and what they went through on a daily basis. Harper’s Bazaar continued to have Avedon as part of their ranks throughout the 1960’s. He also published another book titled Nothing Personal with colleague and friend James Baldwin. For the next two decades Avedon mainly did work for Vogue. In the early nineties, Richard Avedon became the first staff photographer for The New Yorker. In 1994 the Whitney Museum honored Avedon by creating an exhibit to show the past fifty years of his work in a retrospective titled “Richard Avedon: Evidence”. In 1958 he was named one of the worlds “10 Finest Photographers” by Popular Photography Magazine. 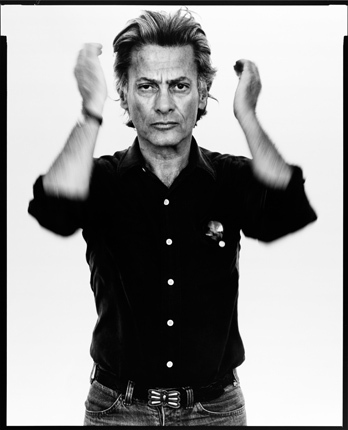 In 1989 Avedon received an honorary doctorate from the Royal College of Art in London.In 2003, he received a national arts award for lifetime achievement. This image of Tina Turner, like the majority of Avedon’s photos, has a shallow depth of focus. This helps to establish Turner as the focus/emphasis of the photo and places her close enough to the viewer that makes her more approachable and raw. There is a straight line to her body that shows stability and a fierce personality. However, the diagonal lines of her legs present Turner in motion. It is this movement that helps further portray Tina Turner’s character or personality. She is an entertainer by trade and diva by art. The motion that she is in presents her as a performer aimed at entertainment. The posture that Turner presents, gives off an essence of “fierceness”, a large part of Turner’s reputation. The lighting in the picture fully illuminates the subject (Turner). However, the lighting seems very natural and formal. The light composition of the lighting presents a gentle texture that makes the subject more visually approachable. Turner is not perfectly in the center and her left leg lies near an intersection. The picture is therefore balanced and further approachable to the viewer. The emotion on Turner’s face presents a fun, spritied, and passionate individual. It is the culmination of all of these tactics that forms a picture that is both beautiful and formal. Avedon’s artistic decisions with his photos establish his subjects as the main focus and portray a raw essence of the subject’s that make them more approachable to viewers. 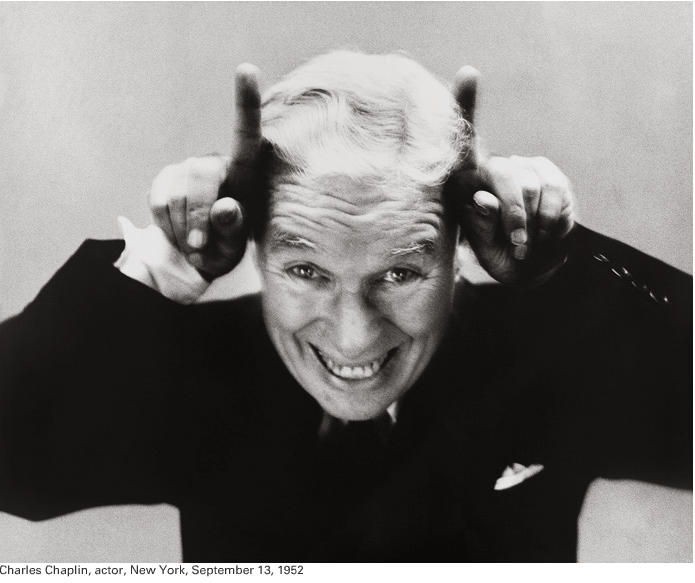 In character with the majority of Avedon’s photos, this portrait of Charles Chaplin has a shallow depth of focus. In comparison to the photo of Tina Turner, the picture of Chaplin is even shallower. The lack of lines in the background simplify the picture while retaining focus on the subject. Chaplin is caught making a somewhat clenched face and hand gesture. The subject is at an angle and therefore is more dynamic. Chaplin’s hands fall on line creating a more dynamic pose. His dark shirt create a dark bottom half of the picture, however his face is well lit (it is after all the focus of the picture). The “fun” face portrayed by Chaplin presents his dynamic personality as an individual and entertainer. 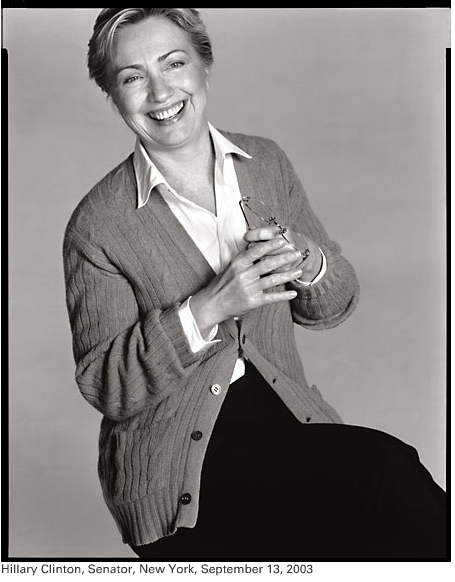 This portrait of Hilary Clinton presents a softer side of the notable politician. Through the soft shades of grey, white, and black there is a gentle essence portrayed by this photo of a gentle individual. The motion capture in the smile presents a “bright” and happy soul. She is almost somewhat playful which contrasts to her persona as a tough, rugged, no nonsense public figure. The lighting on her face presents it as well lit and soft. Hilary is off-centered and her face lies on a line, making the figure more dynamic. Richard Avedon’s work is very bold in its value of black and white. The images are still soft enough to be approachable, but they present a “close” view of the subjects. When an individual first views his work, the images appear to be just average portraits. However, there is a deeper meaning, a greater worth to the photos. Each subject is directly in the face of the viewer and their personalities/character are presented within the emotion and style of the picture. Subjects are in some form of motion that portrays a feeling or essence of the picture to the viewer. The style of the photos bring the subject to the viewer, these subjects are notable figures that are almost off limits to the average person, but these images give viewers a raw portrayal of the subject. The lighting puts the entire focus on the subject, and helps to portray the characteristics of the individual. This is why I find these pictures to be so beautiful, the photos themselves have a personality but it based off of the personality of the subject. Avedon gives a new meaning to the phrase “a picture is worth a thousand words”, by creating a style that presents the subject physically and intrinsically through the medium (the picture). At time there is even an unknown or lesser known side of the subject portrayed, such as the “gentle” photo of Hilary Clinton. I think this is also the main purpose of Avedon’s work, to make the subjects of his photos more accessible by presenting them in a raw fashion to viewers. The ad was found online at http://www.hongkiat.com/blog/70-creative-advertisements-that-makes-you-look-twice/. It is an advertisement for Australian Post, which is an Australian company that provides postal services. This ad is meant to convince the viewer that in order to better connect with someone emotionally the best method is a letter, and more importantly the best way to send that letter is through Australian Post. At first glance the center of the image is the woman. She is being hugged by a human figure. She appears to be comforted by his embrace. The viewer then realizes that the figure has words/writing on him. This leads the viewer to recognize that the man is actually a part of something bigger, a letter. The two figures, the woman and the man, have a basic narrative of compassion but the “story” is not filled in until the bottom of the ad is read; “If you really want to touch someone, send them a letter.” It is this line that starts to fill in the details of the narrative, that these two people have a possible relationship and may not be able to see each other often. The eye then travels to the letter that the man is a part of and the viewer is filled in more on the story. These individuals have been apart for quite sometime, but this letter has brought them together/closer in some way. This helps create the underlying mood of comfort and connection. There is warmth illuminating from the picture as a result of this connection between the two in the picture and the letter that is helping to bring a better connection. The letter is also consoling and comforting the two individuals who are not able to see each other currently. The woman is the point of orientation for ad. The curved lines of the two individuals’ arms present a meaning of comfort and safety. The lines of their bodies, standing straight up, provide a meaning of stability and solidity (possibly resulting from the connection the letter is bringing). There is a balance of three-dimensional and two-dimensional form. The woman and man are both realistic forms. Although he is not as an average human looks (writing, part of a letter, color, etc. ), his basic shape and form is that of a human. Also, although the letter the man is a part of is intricate and busy in that it is full of words, it still helps to sharpen the focus on the man as he breaks up the normal form of the letter. The man then holds the focus on the woman as she breaks him and the letters form and stands out because of her coloring. The movement of the ad is like that of the product. A letter is read from left to right and thus the viewer’s eyes work from side to side. The color of the letter is relatively mute in comparison to the woman’s purple shirt, brown hair, and skin tone. This helps to make her the focus of the image, as the individual that the man has written a letter to “touch”. This also allows for a pattern for the viewer’s eye to follow the path of least resistance from muted color to more vibrant color. The red of the company’s logo background helps to stand apart from the picture, letting it be uninterrupted by the words by the company while still providing the viewer with what the ad represents. 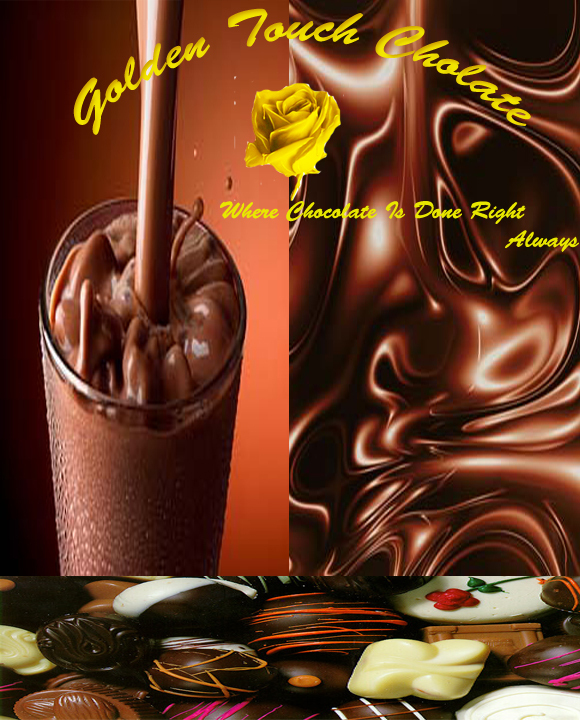 As for the principles of design used within the ad, there is a fair balance to the ad. The woman balances the ad symmetrically, because there is an equal amount of the muted coloring and words from the letter surrounding her. The man is larger proportionally to the woman, possibly as a means to symbolize his ability to hold and comfort her. The man is also a part of the letter but is disproportionate to it in order to stand out. Rhythmically there is a flow from left to right, but it starts at the woman because she is the focal point. There is an emphasis on her but the next important thing is the man because he is able to comfort her (through the letter). However, it is their embrace that is the purpose of the ad. The letter lets the man “touch” her. There is a unity to the photo because of the balance of proportions and fitting emphasis on important objects. The colors match and are balanced. The photo serves its purpose overall for the ad. The ad is trying to say that when an individual is unable see someone or connect with them that they should write a letter. For although they cannot physically touch them, a letter allows for two people to touch each other emotionally. This allows for two individuals to be with each other without physically being next to each other. Semiotics is in this ad through the use of a well-known narrative. Although the viewer doesn’t know these the woman depicted in the ad, there is a familiar or recognizable story present. This woman appears (facial expression) to be missing someone, she is being comforted by a male figure who is possibly her lover that she is unable to see. She wants to connect with him or be able to “touch” him again but she cant because he is not near her. However, she receives a letter from the man. Thus the man in the picture is a symbol for the man who wrote the letter, his is embodied within the letter. As the words comfort the woman and reach her on an emotional level, it is as if the man is touching her himself. This image omits a small amount of sadness into the viewer (me) because I do miss my family back home in North Carolina. However, the ad erases this sorrow by providing an outlet of hope- a letter to reconnect. This ad is potentially deemed a success because it does make me consider writing a letter to my family, even though I call them and email them every so often, because of the effect letters have on people. I think this ad is an effective and nicely designed one. Although there is a lot of detail in the background in the form of writing, the entirety of the ad is simplistic. It presents the emotion and purpose clearly. It provides a conflicted woman within the narrative and places the product (mail services) as a solution. The portrayal of the idea of a reaffirmed connection is one that is common to all humans. However, there is warmth within the ad from the reconnecting the letter has caused. If other viewers are like me, they will consider writing a letter to someone that want to reconnect with or just generally miss. However, there is a chance that it wont be in the form of a physical letter but rather an email. After all, we are in the Digital Age and our mediums of choice are much different. Japan- What Makes It Different? 1. Give a brief geographical/historical perspective of the culture. – Show a map and/or timeline. The culture of Japan is largely affected by the geography of the country. Japan is an archipelago of islands that are largely isolated because of this. There are also a large amount of mountains and volcanoes, which explains why it was so easy for them to have many isolationist periods. This explains many aspects of the culture, and why it is so unique. After a period of isolationism, Japan began to open up and become influenced by other nations and cultures. They were influenced by neighboring country Korea and were introduced to Buddhism. This had a very large influence on Japan and the way their culture developed. The Japanese studied Buddhism, and had many large institutions where the practices were taught. Through this they developed an appreciation for nature and the world around them. Also, although they were blessed with many natural resources, they used them modestly in their early years before their major development as a major world economy. The history of Japan points to their development in the artistic world over time. The isolation that the Japanese experienced was brought along by themselves during the earlier portion of the 17th century. Japan sought to cut themselves off from the rest of the world because they did not trust foreigners, especially with matters of religion, culture and trade. However, Commodore Matthew Perry, from the United States Navy, went to Japan, requesting that the Japanese establish open trade with the United States. Eventually Japan signed multiple treaties with the West that assumed this purpose. 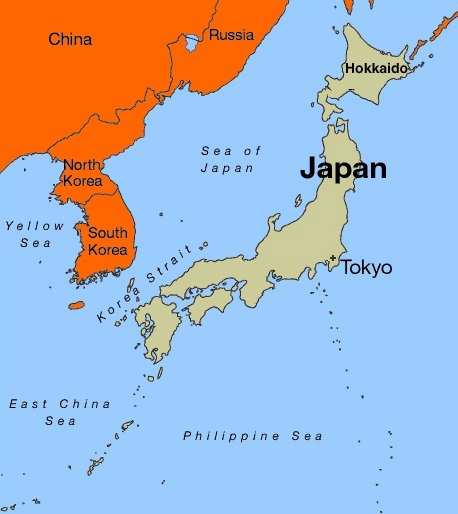 In the late 19th century, Japan established itself as The Empire of Japan, instilling cultural, economic, and political reforms, making Japan a unified and imperial nation. After WWI, fascism overtook Japan, which led to artwork that had propaganda-like qualities. Akin to this, the art in Japan has always been created in correspondence with the cultural and social goings-on of the period. 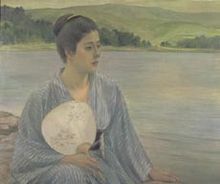 The first period that saw a series of artistic development and technique was the Asuka period. During this time, Buddhism encroached the country’s borders from China. The next, and one of the most significant periods for art in Japan, was the Nara period. At this point, Buddhism had overtaken the entire country. The Fujiwara period is when art and literature flourished considerably in Japan. During the Kamakura period, Japanese art became more modern and realistic. More popularized forms of art came about, such as calligraphy and samurai art, which are still incredibly popular in Japan today. 2. What makes the culture visually unique, how are the Design Elements/Principles used? – Show examples. Before the Japanese adopted the Chinese’s phonetic alphabet, they used pictographic characters to convey meaning through visual stimulus and these characters remained a prominent part of the Japanese visual culture even after the alphabet was used as their dominant form of writing. Resulting from the significance of these characters, the Japanese had a profound attachment to the visual symbolism connected to specifically, plants, animals and objects. Modern day Japanese art has taken the form of anime, videogames, advertisements and the like, highlighting their talents in drawing, painting and sculpting. Before the 17th-19th centuries, Japanese art did not differ greatly from Chinese art. The change occurred, however, when the Japanese chose to isolate themselves from the rest of the world. Japanese paintings became very abstract, naturalistic, spontaneous, and individualistically-based. Artists from Japan wanted to focus on the individual, moreover the simplicity and beauty of everyday things. Japanese artists often used neutral backgrounds in order to accentuate the portraits or scenes of daily life. Things such as insects, plants, animals, flowers, people and trees are celebrated intensely, which relates back to each of their symbolic significances. Japanese sculpture and architecture put a strong emphasis on form, rather than embellishment. Artists also use asymmetry and stress the importance of space, making everything an extension of a landscape. Japanese paintings are simple and intimate, which allows painters to gravitate towards effects in color, lighting and an overall, more explicit perspective. 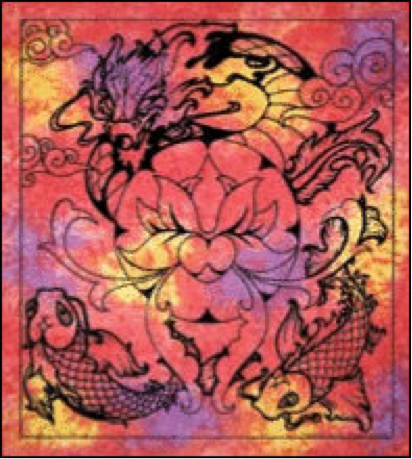 With regards to the elements and principles of design, Japanese artists utilize almost every component, especially in their paintings. 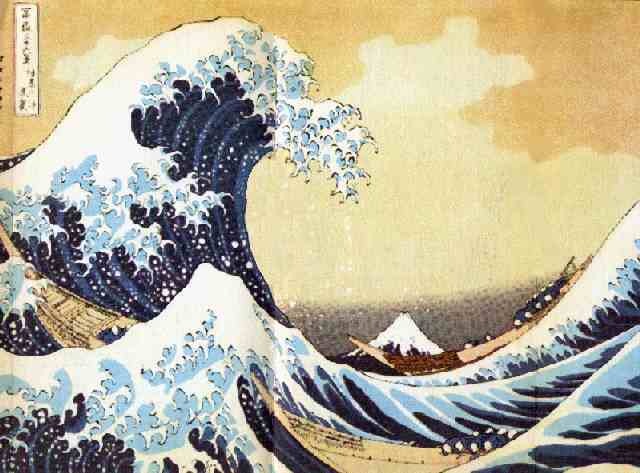 This painting, by Katsushika Hokusai, is considered very un-Japanese in style for the time period it was created. Here, he is emphasizing nature and he unifies man with the natural world. The painting is also an example of the elements of movement, form, color, texture and line. The principles of balance, rhythm, emphasis and unity are also portrayed in this painting. The way the waves are painted convey very distinct movement and tension in the scene of the painting. The lines mark instability, making it increasingly clear that the imbalanced and impeding waves are going to crash destructively. The form is naturalistic and organic, though possibly somewhat distorted because of the intensity of the scene and the waves. The texture of the waves and the water in general is perfectly displayed, making the scene more realistic. The observer’s attention is grabbed by the mountain with the white snow caps in the background of the painting, though the color hardly differs from the peaks of the waves. The powerful contrast in color is seen in the difference between the sky and the ocean. The color of the sky is subtle, further accentuating the scene in the fore and middle ground. All of the components of the painting are working together to grasp the observer’s interest, unifying the piece primarily through movement, balance and rhythm as the eyes flow effortlessly through the action occurring. 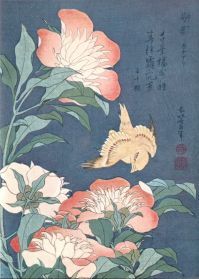 This is another print by Hokusai, which demonstrates the Japanese emphasis on animals, specifically, birds, and flowers in their artwork. This piece expresses the brilliant colors that Japanese artists use, as well as the pattern, movement, texture, form, unity, rhythm and emphasis seen in many Japanese works. The pattern in this piece, though discrete, is of Japanese script characters, which communicates the style of painting right off the bat. Hokusai emphasizes the bird in the painting by strategically placing it in the center of the piece and making it a different color (though bland) than everything else. The texture of the flowers is excellently executed, along with the rhythm, which is demonstrated by the observer’s tendency to jump from one flower to the bird to the next flowers. The movement of the flowers and bird are clear, especially with the bird facing downwards, clearly in flight. The piece, overall, is extremely dynamic and organic. This painting by Kuroda Seiki contains similar elements and principles of designs present in the other paintings, though this painting calls on the Japanese’s individualistic style more than the others. In this painting, the emphasis is placed on the woman, which is evidenced by her placement in the painting, the detail of her whole persona, and the subtle background behind her. However, the background, though subtle, the balance, and the colors emphasize Hokusai’s idea of unifying the individual with nature. The form of this painting is extremely naturalistic and organic and the texture, specifically of her clothing, is beautifully illustrated. Her proportions are realistic and the rhythm is simplistic, which allows the observer to focus on the woman’s beauty and the serene scene around her. 3. What are the visual, social, and perhaps religious qualities of the culture’s design – Include all aspects society – architecture, clothing, art, house wares, etc. Show at least one to two images per example. As a result of Chinese influence in Japan, the Japanese people developed two alphabets- one phonetic, the other pictographic. Much of the pictographic alphabet symbolized things associated with nature; animals, vegetation, foliage, etc. 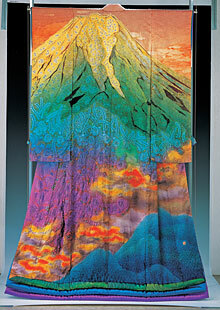 This symbolism and importance of nature then injected itself into the design of Japan. Individual portraits, scenes of daily life, studies of plants and animals were done, and these images were handled with spontaneity and individualism. In contrast to the more decorative Chinese aesthetics, Japanese style tends toward a paring down to essentials, an attempt to capture the basic form and characteristics of a specific subject. Japan as an island is limited in regards to space, leads to a greater respect and importance of nature. The limits on space also push for Japanese efficiency when using land. The Japanese fused the worlds of landscape and architecture to present the essence of nature. “The art of landscaping and gardening has developed to a high level of sophistication, in which carefully designed informal arrangements create the illusion of “natural” settings, in which the essence of nature is captured and tamed” (Japan: Historic Background). Each specific object of design is meant to focus on that specific object in respect to the symbolism it holds within the history of the culture. Just as other parts of Japanese culture, Chinese influence seeped into the design of architecture, although there was a push of particular Japanese architecture identity. The Chinese influence comes in the form of timber construction. However, a particular Japanese design developed that focuses on the form of objects rather then the surface. Japanese culture stress efficiency in the use of space resulting in housing designs that are limited to the essentials. Japanese culture greatly respects nature and aims to present things as natural. There is even depictiosn of nature on the clothing (i.e. kimonos). The Japanese have a religious tradition of Shintoism. This belief system stresses the past and presents nature as an array of gods. That is to say that each piece of nature is a comprised of a god, such as the son goddess. Under Shintoism, an individual is tied to their past and more importantly the gods through their family bloodline (Japan: Historic Background). As a practice related to the beleif system of Shintoism, many Shinto temples are demolished and reconstructed. This is an embodiment of the Shinto principle of purification through renewal (http://www.asianinfo.org/asianinfo/japan/architecture.htm). Just as Chian came to influence in various societal ways, it contributed to the development of religion in Japan. In particular, Buddhism spread from China to Japan. Eventually a Japanese branch of Buddhism was developed known as Zen Buddhism (Japan: Historic Background). This new form of Buddhism depicts life as a path of study and reflection,, but most importantly Zen Buddhism sresses reflection on nature. There is a principle of isolation within Zen Buddhism in order to renew the “self” so that one can go back and be productive. As Buddhism spread, more temples started to be constructed. These temples were made up of seven different buildings- the pagoda, main hall, lecture hall, bell tower, repository for sutras, dormitory, and dining hall (http://www.asianinfo.org/asianinfo/japan/architecture.htm). Japan has had a very strong influence on the design references found in western culture. The traditional Japanese influence is asymmetrical and very abstract. The patterns are largely inspired by the nature and the environment and landscape of Japan. Parts of their environment are largely present in these patterns. You may see when examining these patterns, you can see cherry blossom trees and other elements of nature. These elements of design show up in the western world in many things such as textiles, and rugs and even on lamps and tapestries that show up in houses and design in buildings and offices often. Although it is not mainstream, the presence of oriental influence in design is becoming more and more prevelant. The design reference that is shown in Japanese architecture has had a large impact on the architecture that can be seen in the Western world. Again the essence of nature has become apparent in these Japanese architectural designs. Line and space are elements that much emphasis in these designs. “Many of the principles which Wright integrated into his designs stem from Japanese principles such as simplicity, horizontality, asymmetry, and a connection with nature” (Leneweaver). This new idea of these concepts included the use of flowing spaces, unlike the isolated individualized spaces in homes that was seen before this influence had become common. The use of line in Japanese architecture is one of the most important design elements. This element is seen largely in American architecture as well. The use of space is also very important. In the western designs based on Japanese influence, large positively used spaces hold the design together and provide a flowing natural feeling. 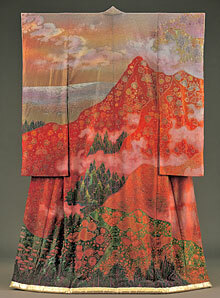 Also the use of color is largely impacted by Japanese culture in Wrights’ designs. He uses shades of red, which is an important color in Japanese culture. It is derived from the shades of the sun, and is used as an accent color in many things representing a natural feel. The whole idea of the use of the feeling of nature through the use of color, line and space is derived from the Japanese beliefs of Buddhism and Taoism, both of which stress the emphasis of nature. This is one of the famous Frank Lloyd Wright residence designs. His use of line as a design element is largely apparent. 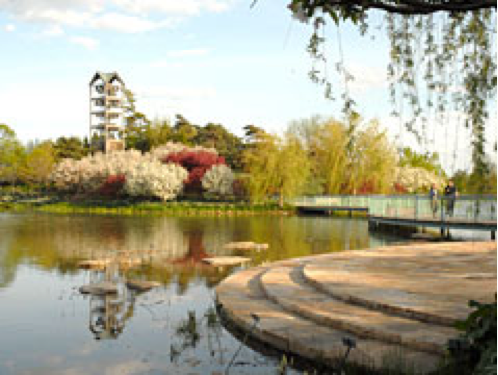 Many gardens and landscaping designs in the western world show many aspects of Japanese influences and Japanese design elements. 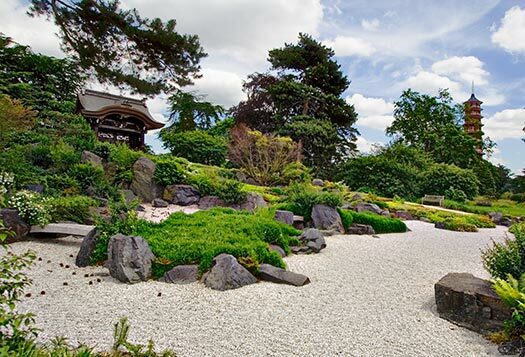 There are many very famous gardens throughout the Unites States, including the New York Botanic Garden, The Chicago Botanic Garden and the Portland Japanese Garden, which have Japanese influence. 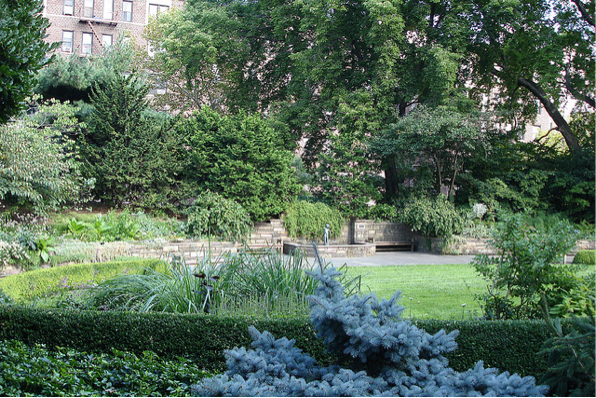 In these gardens, the design elements of space are very important. Flowers and plants are not crowded together; instead they are left with space around them. Also balance is largely apparent. This is the sense of balance in the sense that “You are always trying to create a ‘large’ landscape even in the smallest of spaces”(Japanese Garden Design). 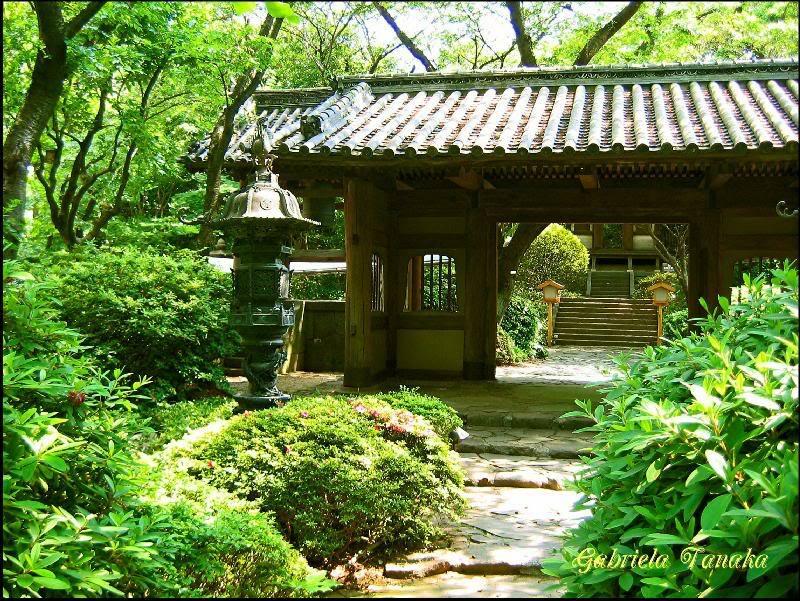 “Japanese Garden – The Helpful Gardener.” Gardening Tips – The Helpful Gardener. Web. 06 Feb. 2011. <http://www.helpfulgardener.com/japanese/2003/design.html&gt;.